Ever find yourself standing in front of the open fridge asking the same question ... what's for lunch? Today we went straight to the veggie bin, whisked together our super quick go-to balsamic vinaigrette and tossed together for the perfect light lunch on any busy day! 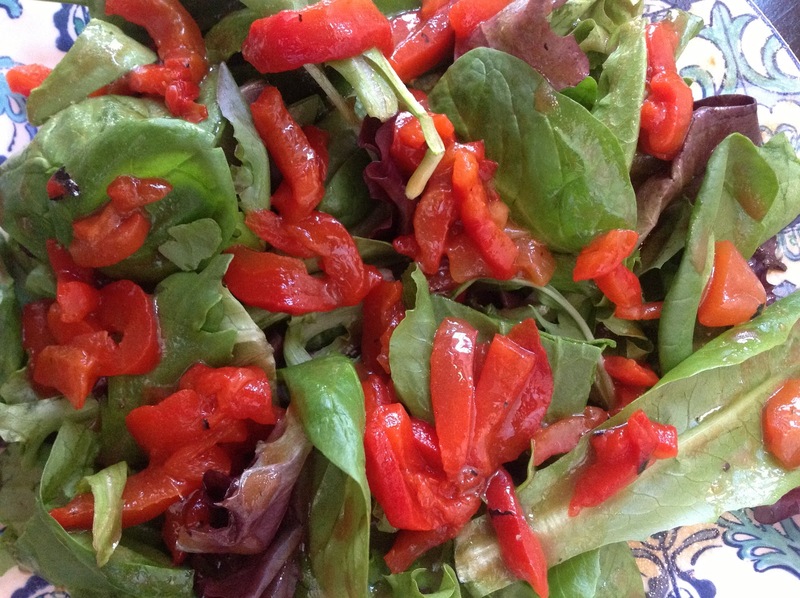 We made a super simple salad of mixed greens, baby spinach and roasted red peppers. We always keep a bag of organic spring mix lettuce or baby spinach in the fridge for days like today. The dressing is easy enough to make for a single portion but feel free to double or triple the recipe to keep it on hand all week! We always like to make our own dressing! It's so quick, more flavorful than bottled dressings, and SO much healthier. We've been making balsamic dressings for years but just recently found the perfect balance of sweet, light and creamy which is perfect to top salads, chicken, grilled veggies & more! 1. Whisk together vinegar, olive oil and Dijon mustard. 2. Add a splash of lemon juice & soy sauce and stir to combine. 3. Season with brown sugar, a pinch of onion powder, garlic powder, salt & pepper. Recipe will make 4 dressing portions for a lunch size portion or about 2 for dinner!